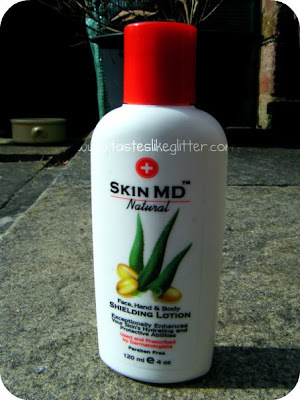 At the start of the year I was contacted by Skin MD Natural asking if I wished to try their Shielding Lotion. I said I would because I have a lot of trouble with hand creams and wanted to try something different. The brand is so positive that you will like the product, if you don't you can return it to them for a full refund. When I was exchanging emails at the start of the year with this company, they had said they'd sent a bottle out to me in January. I waited until the end of the month with nothing arriving so contact them and told them this. At the start of February they said they would send another bottle and I was to let them know if I got this one. I did and I'm less then impressed. A little bit about me. 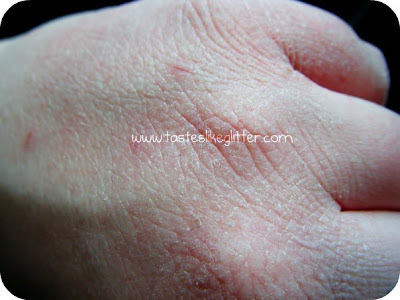 I suffer with, what can be, quite extreme dermatitis on my hands. This is due to many different factors but mainly the air condidioning/cleaning agents at work and cold weather. 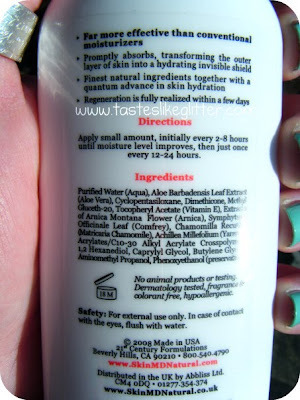 I've tried so many different over the counter and prescribed creams, with nothing helping moisturise my hands at all. This was taken just a week ago, during the time I had been using the Shielding Lotion. Does that look like a well moisturised hand to you? Granted, the product absorbs quickly but I found on more then a few occasions, when applied it made my hands sting for quite a while afterwards. I just checked the site and with shipping to the UK the total product cost for this is around £17. Personally I think that's far too much for a hand cream that I dislike using. I've seen plenty of reviews on this and I know some people really like it but I really don't and I wouldn't recommend it. They're are much cheaper alternatives that work so much better. Did anyone else who got sent this, dislike it?